On my second Art is Power tour, I visited the beautifully dynamic city of New York and had the pleasure of meeting Y, who at the time was working with B.E.A.T Global, which stands for Bridging Education and Art Together. B.E.A.T successfully uses various art forms such as Beat Boxing, Beat Making, Break Dancing, and Rapping as tools for education. Y, who was one of their premiere teaching artists, has spread his wings and started his own company, Creative Expressions. I had the pleasure of working with Y at Villa Montalvo Art Center in San Jose, California where we both led workshops that showed teachers how to use the arts in their classrooms. Y is a good person with a lot of talent and passion. 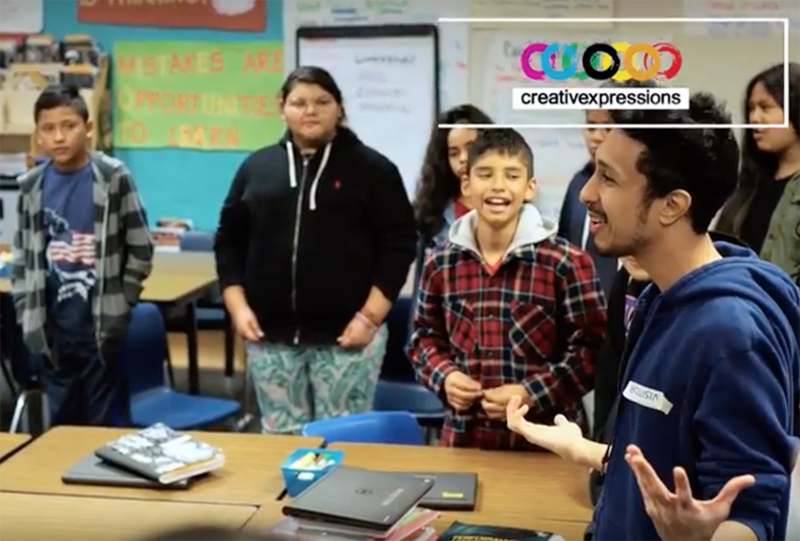 Check out this inspirational video of how the arts can impact education.